Kochi: Kerala Chief Minister Pinarayi Vijayan flayed Union Railway Minister Piyush Goyal for blaming the state government for not providing the required land for setting up coach factory at Palakkad and rail development. Responding to Goyal’s remarks that one cannot run trains through the sky, Pinarayi told reporters in Delhi that Goel should not say anything just because he is Union Minister. Denying reports that he was not given permission to meet Goyal, Pinarayi said he had never even thought of meeting Goyal. Pinarayi said Goyal was talking nonsense.Everything related to the land acquisition was apprised to him. Despite that he was talking rubbish, Pinarayi said. Contradicting his own statement, Pinarayi said the speed of land acquisition was greater as compared to previous years. He said details of land acquisition was intimated to Goyal through correspondence. 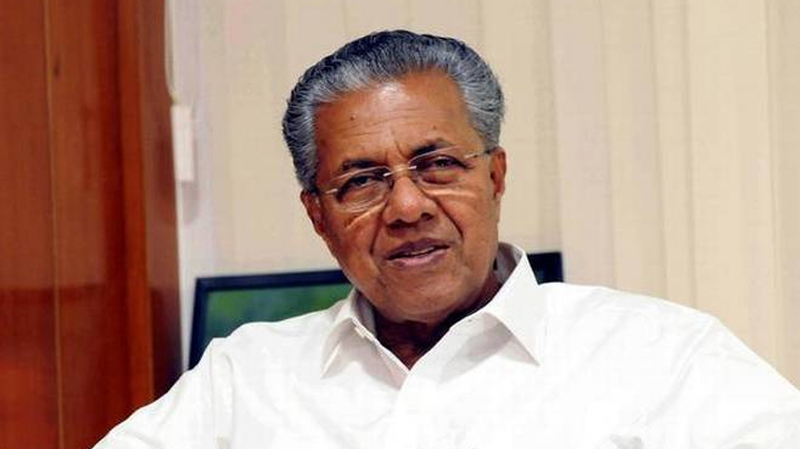 Pinarayi said he was willing to remove any misunderstanding Goyal might have on the issue. Joining the Chief Minister, PWD Minister G Sudhakaran said that the remarks of Goyal’s were uncivilised. “The matter related to land acquisition was explained to Goyal during a meeting at Delhi in January. Goyal is yet to know about the land in Kerala. As an Indian he should know all these things,” he said. He should ensure that he does not to talk to a Chief Minister as per his whim and fancies as it is against the laid down norms of Constitution. Meanwhile, BJP leader and former Union Minister O Rajagopal, MLA, said Pinarayi’s aim to meet Prime Minister whenever he visited Delhi for his party work was with some ulterior motives. Responding to Pinarayi’s statement made yesterday that he was not allowed to meet Prime minister, Rajagopal said Pinarayi’s remarks showed how much he opposed Modi. Pinarayi should clarify in what way the Centre had ill-treated the state. He reminded him that Congress leader and late Chief Minister K Karunakaran used to travel three to four times to Delhi to meet the then Congress Prime Minister. Meanwhile, Pinarayi Vijayan and left MPs from Kerala had organised protest outside Rail Bhavan in Delhi against BJP government’s anti Kerala policies.